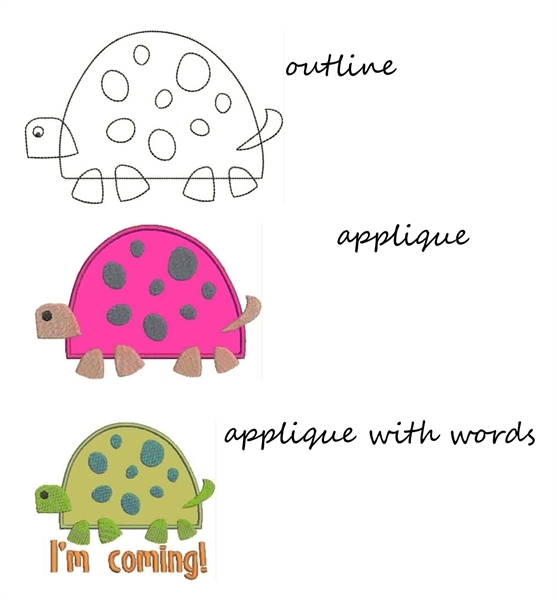 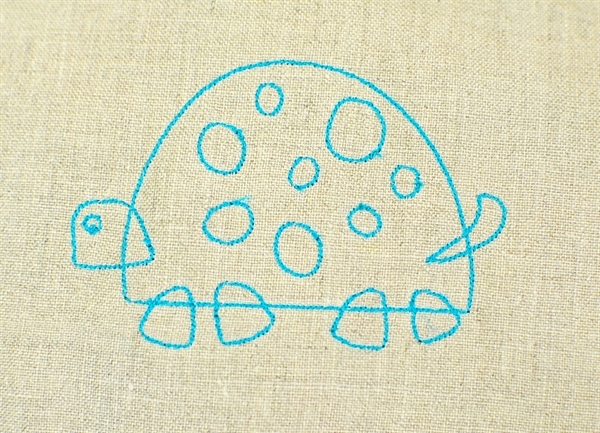 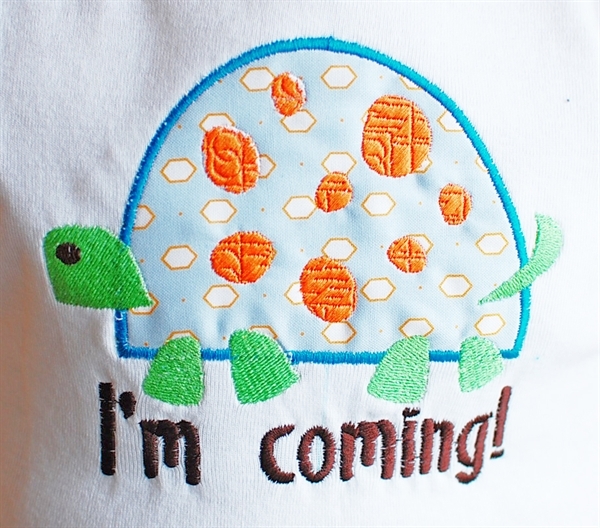 Cute little turtle would look great for boys or girls, with or without the phrase "I'm coming!". 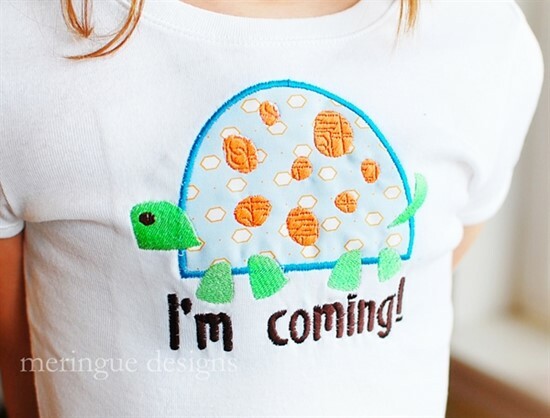 turtle applique large with words 5"x5.7"
turtle applique medium with words 4.5"x5.2"
turtle applique small with words 3.3"x3.7"
Note: You'll notice in the image of the t-shirt that the orange spots on the turtle's shell have an intersting texture to them. 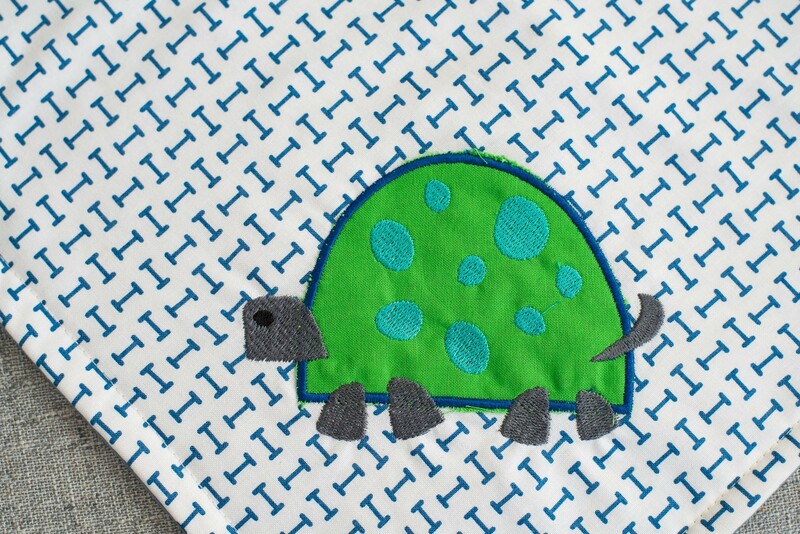 After stitching out the shirt I noticed some of those stitches were long satin stitches and maybe not so 'sturdy' for a kids' items so the texture in your files will be just a basic filled stitch, like in the design images. 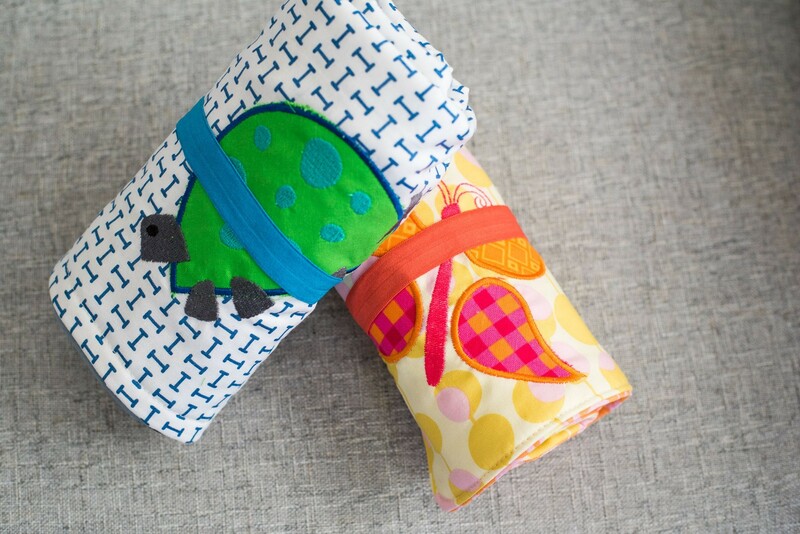 Last image is a diaper pad, tutorial coming soon to the blog!